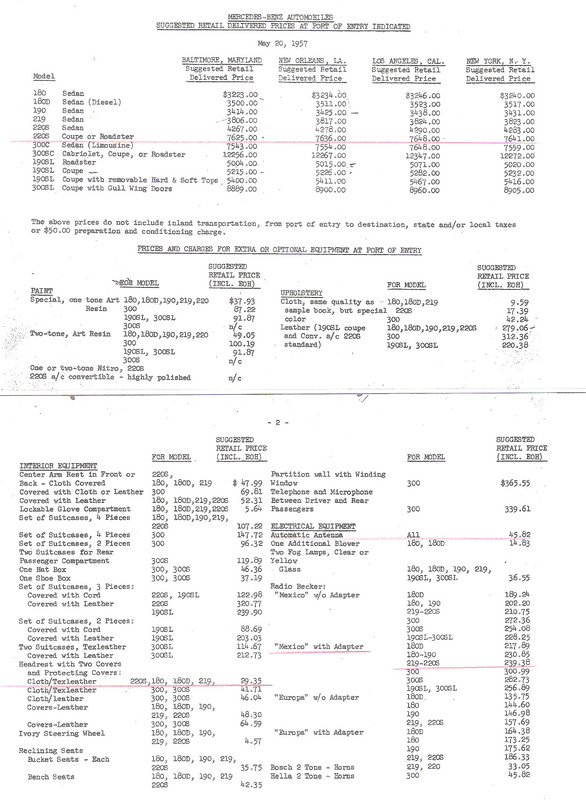 This chart depicts Mercedes-Benz Ponton prices when they were new, as well as lists price comparisons of contemporary vehicles in the USA. *DM Prices are German Delivery averages for model years listed, compiled from "MB Production Models" by Robert Nitske. 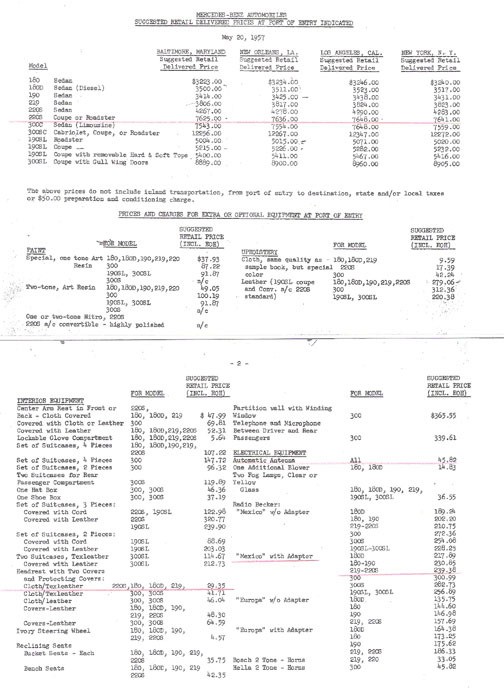 **US $ Prices are Los Angeles Delivered Prices, 1958, from Silver Star Restorations Newsletter (March 1983). ***Chevrolet Prices are from Car Stuff's Carfacts. Disclaimer: This is only a rough guide. Options, delivery ports, taxes and license fees are only a few of the variables here, to say nothing of exchange rates. From 1949-1961 the Deutsche Mark was fairly stable at 4.2/ American Dollar. The differences in the prices above from this rate are due to US delivery, tax, duty and dealer markup, averaging about $1000 per car for basic Pontons. 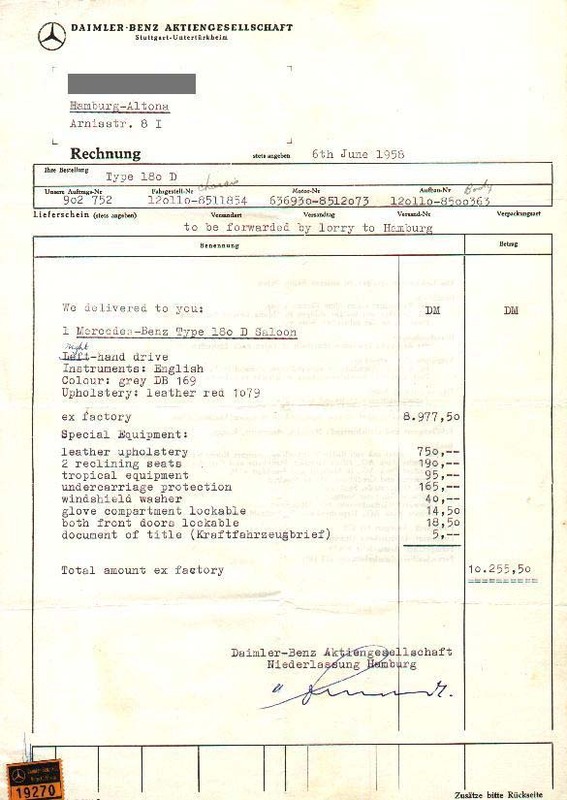 The price to ship a car transatlantic at that time was about $200.